If you haven’t made it up to Chik-Wauk Museum lately then you’ll for sure want to make a trip up on the 3rd of July. 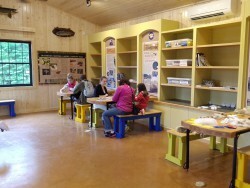 There will be a grand opening celebration for the new Nature Center and no admission will be charged. There will be hourly informational presentations on the nature center patio by Chik-Wauk’s Naturalist, Jacqueline Mallinson and Keith Morris. 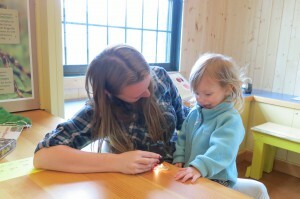 There will also be kid’s activities in the Nature Center and on the trails. The temporary exhibit for this season is about birds. You can learn to recognize birds and the sounds they make. You can also check out the nesting pair of loons on the platform in the bay and hike the many trails. birds make. Be sure to come visit us at Voyageur too. We’ve got cold beverages, great clothing and daily canoe rentals if you’d like to take a paddle in the BWCA. You could even rent a canoe and paddle over to Chik-Wauk for the day. Whether it’s July 3rd or any day take a trip up to the end of the Gunflint Trail and visit us and Chik-Wauk.